Hannah Brewer, alto, joined Cantores in 2012 shortly after moving to Portland from her native California. She earned a B.Mus. in organ performance from Oberlin Conservatory and a B.A. in art history from Oberlin College in 2009 and attended graduate school in Kansas and London, England. 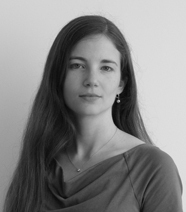 Hannah, an early music nerd, performs locally as an organist, harpsichordist, and accompanist and is Organist at St. Michael & All Angels Episcopal Church in Portland.